The vines are predominantly grown in the valley between the villages of Peñalba de San Esteban and Atauta. The tempranillo grapes come from the Finca El Portillazgo, which is situated at an altitude of 850 m, and has a sunny location and a well drained stony soil. 95% tempranillo from young 13-year old vines and 5% garnacha from 100 year old vines. The tempranillo grapes were handpicked into 12 kg cases on 13th October, and the berries were carefully chosen on the selection table at the winery for vinification, the garnacha grapes on 31th October. The grapes are de-stemmed and the berries crushed for the alcoholic fermentation under a controlled temperature (23º) to keep the flavours. The maceration period was nine days with various pumping over depending on the evolution of the fermentation. 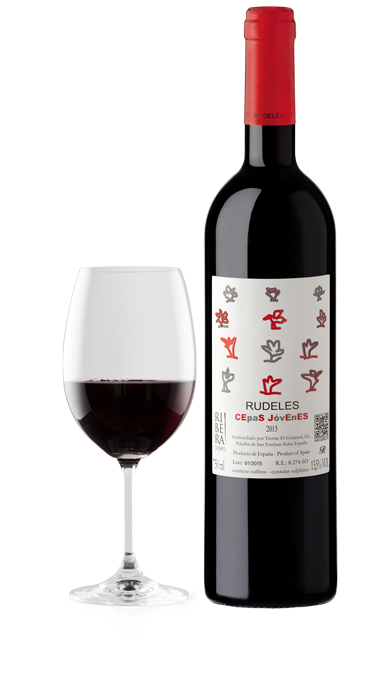 The Cepas Jóvenes wine is an intense red colour, clear and brilliant. This easy-drinking wine develops refreshing dry fruit flavours. On the palate, the wine is soft with a substantial finish. The freshness of the wine is preserved by an early bottling.